KAMPALA, Uganda (AP) — A Ugandan army general who sparked controversy over the presidential succession said Wednesday he's fighting the use of state institutions to keep the country's long-serving president in power. Gen. David Sejusa — who is in London— told The Associated Press Wednesday that the Ugandan military is a "prison" used by President Yoweri Museveni to sideline ambitious army officers from challenging him for power. Uganda's military laws bar serving officers and soldiers from participating in electoral politics. 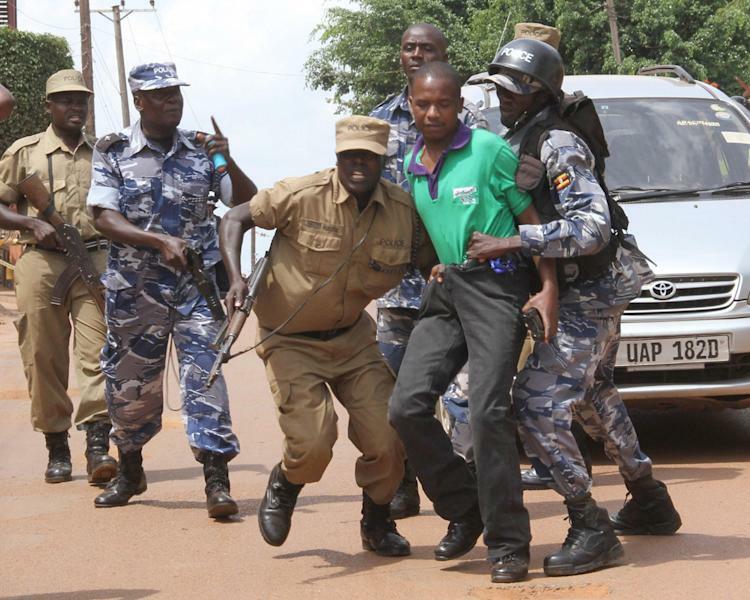 Sejusa warned that "abusing the law and institutions just to keep the current leadership in power ... pretty soon will lead to ceaseless strife" in Uganda, which hasn't had a single peaceful transfer of power since independence from Britain in 1962. Sejusa, 58, a four-star general who is a decorated hero of the bush war that brought Museveni to power in 1986, said he's one of many senior officers whose efforts to retire from the army have been thwarted by the president. Sejusa last month wrote a letter to the internal security service urging an investigation into reports that high-ranking officials are at risk of assassination if they oppose the political rise of Museveni's son. Details of his letter were published by a local newspaper, the Daily Monitor, whose premises in the capital, Kampala, have since been occupied by police looking for evidence against the general. Sejusa had travelled to London when details of his letter became public and he has since cancelled a scheduled trip back to Uganda. The general faces arrest when he returns to Uganda, and his lawyer said Sejusa has postponed the trip back home for at least three months. Police deployed heavily at Uganda's international airport on May 11, the day Sejusa was originally scheduled to return from London. Joseph Luzige, Sejusa's attorney in Kampala, said Tuesday that his client has requested —and been granted —the protection of British police after reporting a threat to his life. 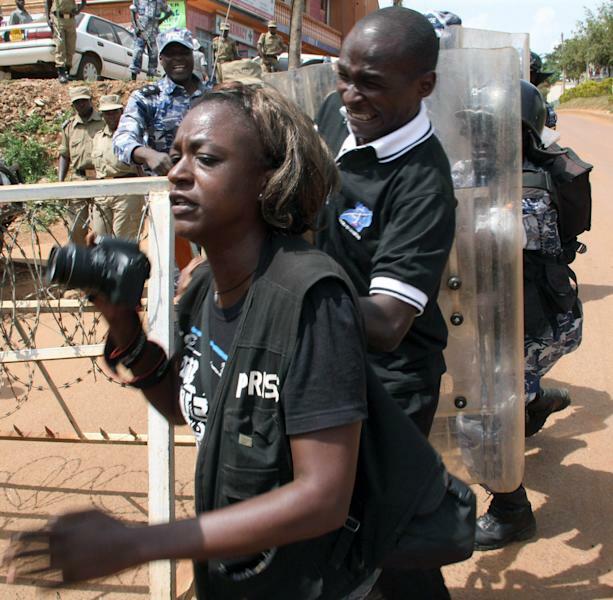 British officials said they had no comment on Sejusa's case. Sejusa's new statement is expected to further estrange him from the Museveni administration that he helped to bring into power nearly three decades ago. "This is the issue of refusing to retire officers from the army so that they are rendered captive forever, so that none can challenge the regime," the general said in the statement. "In essence, using (the army) as a prison so that anyone who threatens or is even rumored to have political ambitions is threatened with military law. "I refuse to succumb to perpetual abuse," he said. "(The president) must set us free and set my suffering comrades free or we shall free ourselves. I speak for those gallant officers who are virtual prisoners in the army but can't say a word because they fear to be framed ... or worse. " Sejusa cited the example of Kizza Besigye, a retired army colonel who went on to become Uganda's most prominent opposition leader. According to Sejusa, Museveni has been reluctant to see the exit from the army of senior army officers of questionable loyalty. Sejusa himself tried and failed to quit the army in 1996 after accusing its leadership of incompetence in battles against the fugitive warlord Joseph Kony. The Ugandan military accuses Sejusa, who directs the country's domestic and foreign spy agencies, of spreading propaganda that encourages rifts within the army. Army spokesman Lt. Col. Paddy Ankunda said that "officially an investigation is on about Sejusa's conduct." The general is also accused of traveling out of the country without first getting the authorization of the army chief. Sejusa's case has riveted many in this East African country that once was prone to violent takeovers of power but which has seen relative stability under Museveni. But the president, in power for 27 years, now faces growing pressure within and outside his party to retire when his current term expires in 2016. Some say Sejusa may be positioning himself to become the leader of those within the military who want to discourage Museveni from hanging onto power. Frank Tumwebaze, a government minister who speaks for Museveni, accused Sejusa of harboring presidential ambitions. Sejusa said in his statement that it's "sickening" that "they think it's a crime" for an army officer to have political ambitions. With Sejusa away, the newspaper that published his concerns has come under pressure to explain how it obtained a copy of the letter that has exposed a rift among the military elite over the growing influence in the army of Museveni's son. Museveni has never said he sees his son as his political heir. But the son, a senior army officer named Muhoozi Kainerugaba, has been rapidly promoted in recent years, leading many here to believe he is being groomed for high office. Kainerugaba is now a brigadier with full command of the country's special forces, an elite group within the military that protects the president and guards national assets such as oil fields. More than two weeks after Sejusa's letter was leaked, Museveni announced changes in the military that saw the ouster of army chief Gen. Aronda Nyakairima and his deputy. Nyakairima, who had been cited in Sejusa's letter among those opposed to the rise of the first son, was given a civilian post as interior minister. His deputy, Lt. Gen. Ivan Koreta, was made an ambassador.